A dance theater suite based on the impact of mass incarceration on women and their families. This new work delves into the human condition of being imprisoned, and how this affects people imprisoned, their families, and all of us in the community. Through a close collaboration with formerly incarcerated women and daughters of incarcerated parents, we created a project that sheds light on this often-ignored topic. We bring a message that is honest, complex and simultaneously- hopeful. Through this work, we investigate the impact that incarceration has in the bodies of incarcerated women, and how this phenomenon spills over through generations. 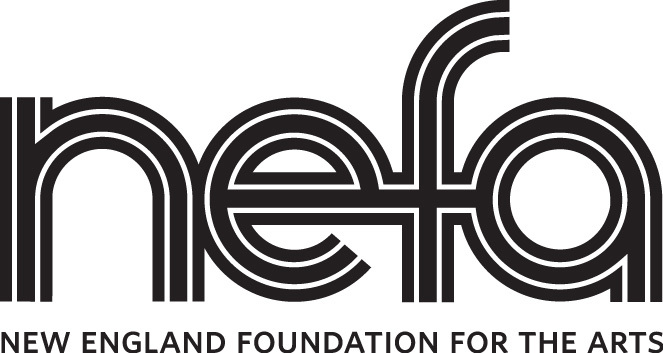 -Funding from the New England Foundation for the Arts' Creative City Program, with funding from the Barr Foundation. -Fidelity Charitable Grant, made possible through the generosity of the James K Spriggs Foundation, a donor-advised fund. Interview at the Fjord Review. 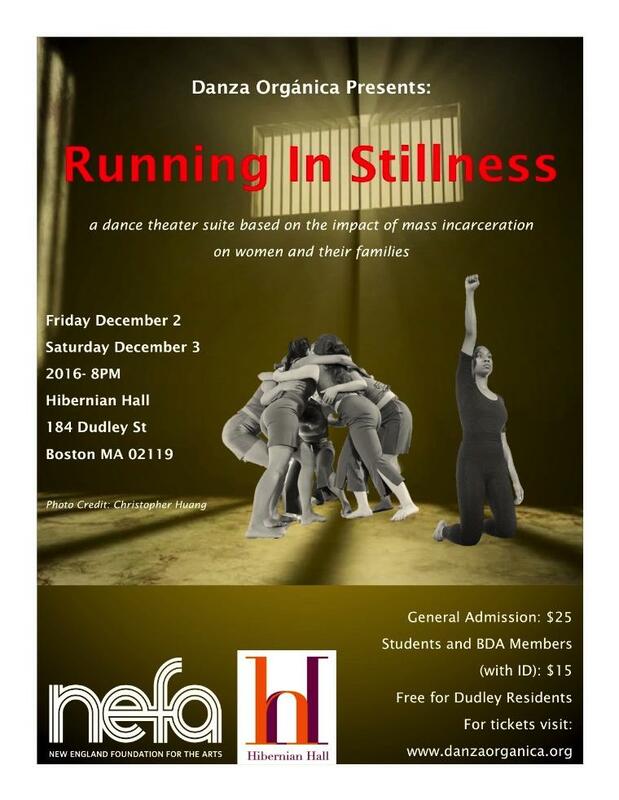 The Daily Free Press Article: “Running in Stillness” dance production highlights dangers surrounding female incarceration. Running in Stillness at the Isabella Stewart Gardner Museum, on Martin Luther King day celebration. Running in Stillness featured at Dorchester Reporter. 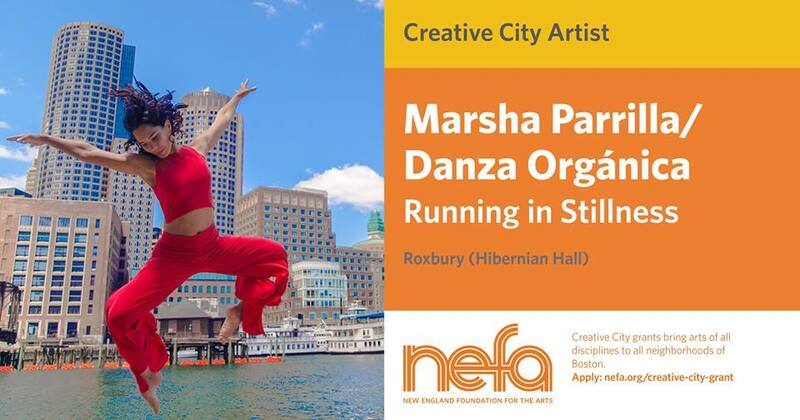 "Marsha Parrilla's Running in Stillness is a work that creeps up slowly and touches the heart. Danza Orgánica moves us from feeling trapped and isolated to gathering strength from community as the company explores what women experience behind bars. The music is haunting and the fragments of text are excellent counterpoint to the dance. I look forward to seeing how this piece develops and grows."